Digital Advertising is a medium of digital marketing that uses any form of digital ads to deliver marketing messages including, but not limited to display and video adverts, paid search, mobile, and social ads to a brand’s target audience. In a 2017 survey done by KPMG, the online global ecommerce area is now valued at USD$1.9trillion. The average number of online transaction per person, per year in Asia is 22.1. To stand out in such a saturated market, digital advertising is one of the most efficient techniques. There are many efficient techniques to drive traffic and generate leads. However, without careful planning and evaluation, it may not be cost-effective. Without a strategy to manage KPI and optimise deliverables, falling short of business objectives is inevitable. This guide developed by Equinet Academy will take you through our 5-step process for developing a digital advertising strategy. 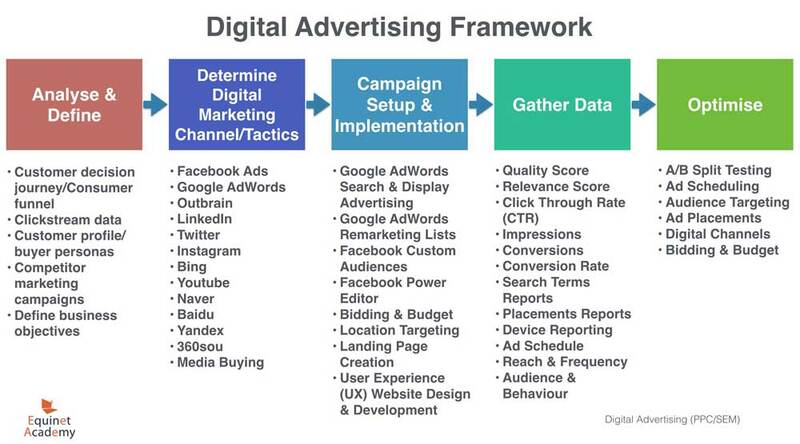 Applying a framework can provide you with a more concise vision of the outcomes and a more structured approach when developing and executing digital advertising campaigns. Note: The above framework does not have to be executed in running order. Analyse and define: Define digital advertising campaign objectives and customer profiles, perform clickstream analysis, and benchmark against competitors. Determine digital advertising channels and tactics: Select appropriate digital marketing channels and tactics based on the parameters defined in phase one. Campaign setup and implementation: Create and launch digital advertising campaigns via Google AdWords, Facebook Adverts, etc. Gather data: Go through digital advertising campaign reports and analyse metrics such as conversions, conversion rates, click-through-rates, and ad scheduling. Optimise: Develop an optimisation plan including A/B split testing, reselecting digital advertising channels, and targeting different audiences. How it all connects together. In this phase, the key objectives are to ensure that there is alignment between the customer needs/wants and business goals where, lacking this alignment, one may end up developing digital advertising campaigns that result in low returns. In order to create alignment, we first need to understand the consumer decision process or customer buying journey. This will influence which digital advertising channels we will target, what type of ad creatives to create, how we design our landing pages, etc, etc. Needs recognition: The customer journey begins with the consumer recognising the need for a solution to a problem. The marketing team can make known of the problem/solution and prompt the consumer to initiate action through digital advertising initiatives. Information search: After recognising a need, the consumer may look for relevant information through search engines, friends and family, sales consultants, directories, and the mass media. Should the consumer be able to obtain relevant information, he or she may proceed on to the next few phases of the customer decision process. Evaluation of alternatives: During this phase, the consumer may consider various factors such as features, price, and time. Marketers should take extra effort to ensure marketing collaterals highlight benefits that are unique to the competition during this consumer touchpoint. Purchase: By this time, the consumer has evaluated various alternatives, recognised the value of the product/service, and is more or less ready to make a decision here – whether to purchase or not. It is imperative that any friction (e.g. difficult checkout process in an e-store) should be greatly reduced or eliminated here. It is important to identify and develop customer personas for any marketing campaign, as campaign message building and delivery tactics are highly influenced by its target audiences. We can analyse audience demographics (e.g. Age, gender, location, education, language) using tools such as Facebook Audience Insights, conducting market survey or purchasing data from third party sources, and extracting internal data by enabling Demographics and Interest reports in Google Analytics. As for psychographics (e.g. goals, challenges, fears, common objections), we can conduct online surveys, run focus group studies, analyse online enquiry form submissions, and interview salespersons within the organisation. Constantly looking for new marketing strategies and ideas to increase their companies’ profits. 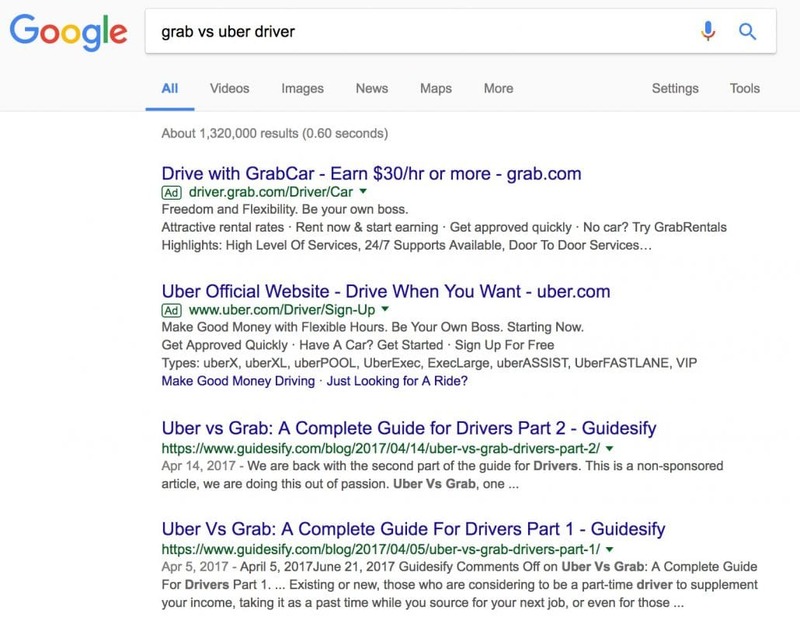 They Google for marketing tips, hang out on Facebook, digest content on business-related websites like businessinsider.sg, and read emails on a daily basis. What’s most important to them is whether they can take away actionable digital marketing strategies and techniques that they can implement immediately after attending a course. Curriculum and courseware must be comprehensive and the course must meet the learning objectives. Before you define the digital advertising objectives, you should be aware of the corporate and digital strategy of the organisation. What are the business and marketing objectives in the digital strategy? Let’s look at case study 1 – How Linda Mandarin defined its digital advertising campaign objectives based on the digital strategy. Linda Mandarin is a school offering mandarin lessons to employees from corporate companies, expats, individuals, and parents who want their kids to learn mandarin. However, their main target audiences are expats who come to Singapore for work. Their classes range from beginner, intermediate, to advanced levels. To encourage signups, Linda Mandarin offers free trial classes to prospective customers. Based on past results, for every 5 free trial signups, 3 will go on to sign up for a beginner class. In order to hit their target of 100 new students a year from free trial signups, Linda Mandarin would need to drive 167 free trial signups in a year. The signups are done through the website, with a form collecting the participant’s details and preferred trial class date. Using a range of digital marketing tactics such as Digital Advertising, Search Engine Optimisation, and Email Marketing, Linda Mandarin has been able to consistently hit the minimum class size needed to run a class. Online communications mix – Ensuring course information is clear and concise on the website and registration is easy. Targeting website content, language, design, and tone to primary customer personas to engage and convert them. KPIs help you to keep track of your campaign’s progress towards a defined objective. Analysing the competitive landscape, customer profile, and defining business objectives and KPIs are important steps to set the right foundation for your digital advertising campaigns. Without clear marketing objectives and deep insights of your target market, determining appropriate digital advertising channels in the next phase will be more challenging. In the recent years, there have been many new digital advertising channels and platforms sprouting out. The year 2000 was the birth of Google AdWords, followed by Facebook in 2004, Twitter in 2006, and Instagram in 2010. Though these platforms gained vast popularity internationally, not every part of the world caught on to the trends of the respective platforms. In Korea for example, Naver has a higher market share of users than Google and Twitter hasn’t caught on well in Singapore compared to the U.S.
Identity-based PPC marketing: Instead of using cookie-based targeting methods, marketers can now target based on identity. It is now possible to upload a list of phone numbers into a custom audience list in Facebooks Ads and target relevant ads to them. Automation: Dynamic keyword insertion, automatic close variants keyword targeting, and Target CPA bidding are all examples of Google AdWords campaign automation. Life Event Targeting: Identifying shoppers with high purchase intent based on their browsing behaviour and targeting relevant ads to them with Google AdWords. Customer profile and reach: What platforms do majority of target prospects typically frequent? Data analytics of consumer behaviour: Which channels/platforms are consumers mostly converting from? Costs vs returns: How effective is each channel in terms of generating ROI? Goals: Are your marketing objectives brand awareness, reach, leads, or sales? Competitive research: What channels are your competitors spending on? In Singapore for instance, Google Search, Yahoo!, and Bing dominate the paid search landscape, Facebook, Instagram, Youtube, Whatsapp, and LinkedIn dominate paid social, and Google Display Network (GDN) and Outbrain dominate the content distribution network. If the target customers are Singaporean working professionals, age 25 – 50 years old, it is possible to reach the bulk of them by focusing marketing dollars on Facebook Advert’s Core Audiences and LinkedIn Ad’s targeting options, as compared to using Meetup.com, a growing but relatively small social networking platform. By measuring consumer activity with analytics software such as Google Analytics, we can track the number of conversions generated from each platform. For example, if the marketing objective was brand awareness while measuring the KPI of click-through rate (CTR), and Youtube Ads generated 50% more clicks than Google Display Network (GDN) over 12 months, one would focus on developing more Youtube Ad campaigns. Another consideration that may influence the selection of a digital advertising channel is costs vs returns. For example, if a Google AdWords Search Advertising campaign generated 50 signups (conversions) at the cost of $100 per signup while a LinkedIn Ad campaign only generated 10 signups at $200 per signup, one would assign a higher advertising budget to the former. Depending on the marketing goals set, the selection of digital advertising channels / platforms will vary. For example, if the marketing objective is to generate downloads for a new ebook, Google Display Network and Facebook Adverts might be more effective channels than Bing Search Ads, as people are less likely to search for a newly released ebook until it has gained some exposure. Why is conducting competitor research so important? You’ve heard the saying – Know thy enemy. Discover new online advertising channels/platforms/tools to find new customers: You can test which ones work for you. For example, you may not have planned on advertising on LinkedIn. While observing a competitor actively implementing LinkedIn ads, you may be prompted to test out the response of that channel as well. 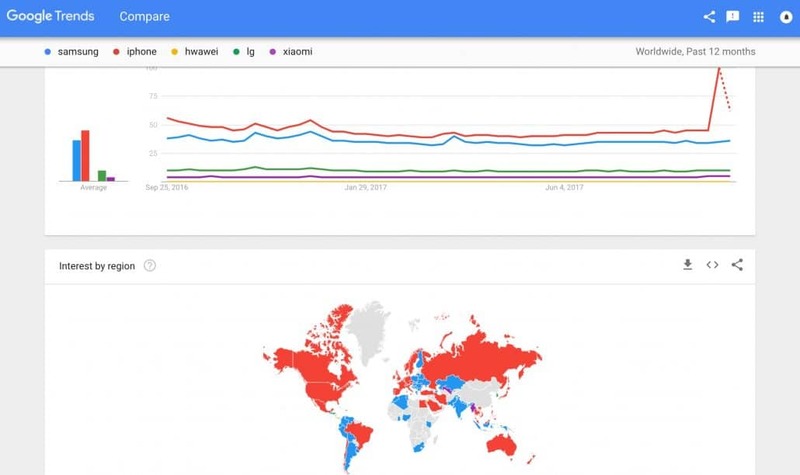 Using tools such as Google Trends and Google Keyword Planner, you also can identify search engine queries that are trending and target them. Develop a competitive edge by improving campaign message building and delivery tactics: Enabling you to make improvements to your product features/service offerings, create a different value proposition altogether (e.g. price vs features), make your ad creatives stand out, and influence the content and design of your landing pages. 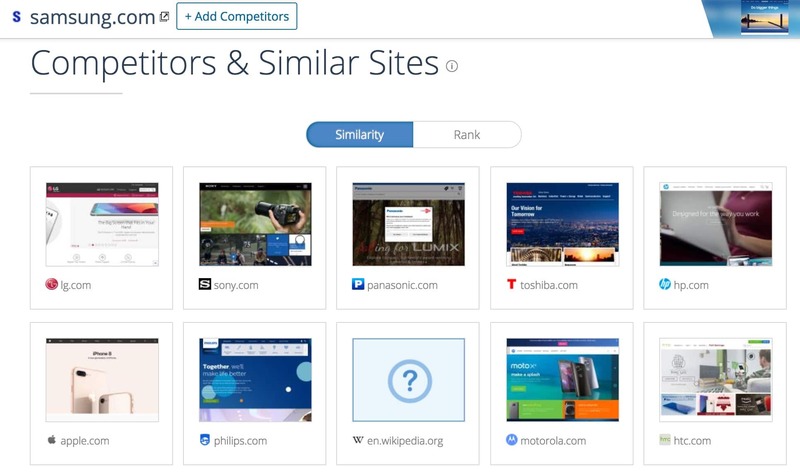 Identify new entrants in the competitive landscape: Online tools such as Ahrefs and Semrush can also help you monitor your paid search engine results pages (SERPs) rankings and keep track of any new entrants in the competitive search marketing landscape. There are numerous ways to conduct competitive research. These methods can be further segmented into offline and online, in-house and outsourced. In this section, we will be discussing online methods of conducting competitive research within the context of Digital Advertising. 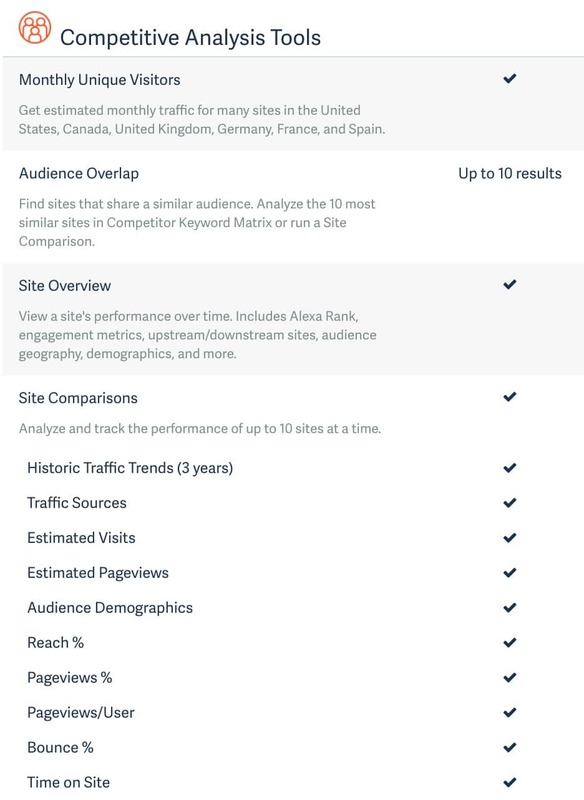 SimilarWeb is a competitive research tool that can provide data of your competitor’s websites such as their estimate traffic from various sources and countries, audience interests, and a list of websites that audiences of your competitors also visit. It can also help you identify your competitors and similar sites to conduct further competitive research on. 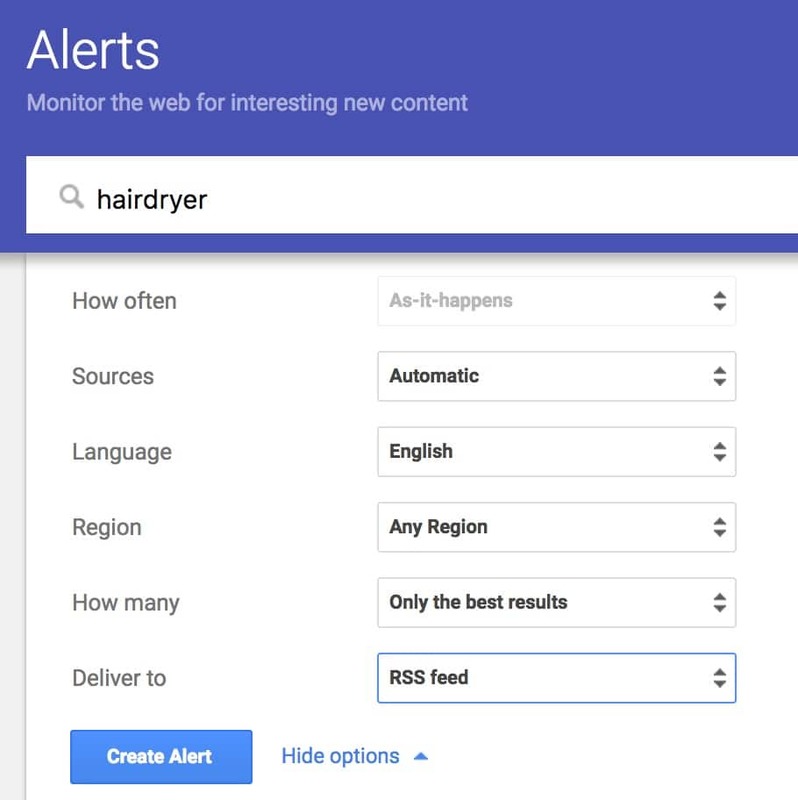 Google Alerts allows you to set up email alerts for any keyword or phrase that is being mentioned across the web. You can monitor competitor brand mentions, product names, and even what others are talking about your brand online. 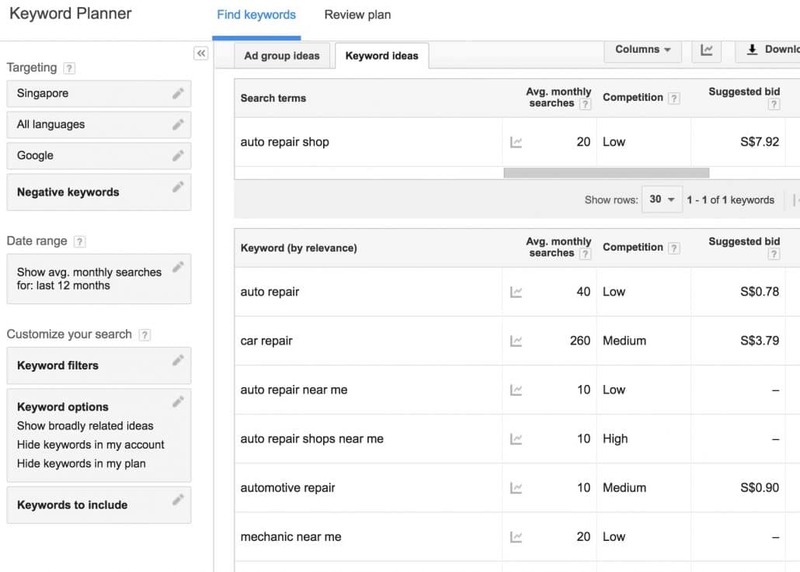 Google Keyword Planner allows you to check the search volume, and competition (low, mid, high), and suggested bid price of keywords you want to target on Google paid search results. This can give you a rough feel of the competitive landscape and whether your marketing budget allows for advertising in the paid search channel. 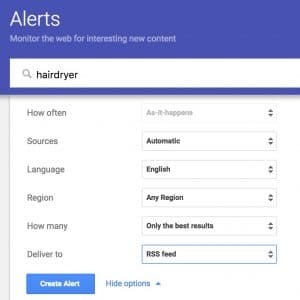 With Google Trends, you can key in multiple brand names (e.g. of your brand versus your competitors) and compare the popularity of various brand search terms, as well as the interest by region. Alexa is a marketing software composed of SEO, Competitive Analysis, and Workspace tools. 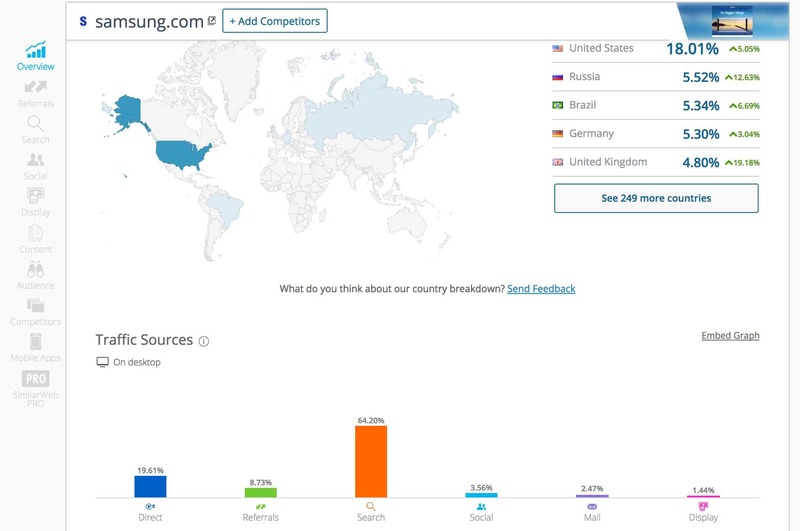 Some of the key features of its competitive analysis tool allow you to find competitor sites that share a similar audience, view your competitors’ site performance such as its traffic sources, audience demographics, reach, and even engagement metrics such as time on site, bounce rates, and pageviews/user. Campaign setup and implementation comes after the planning phases (Phase 1: Analyse & Define, Phase 2: Determine Digital Advertising Channels/Platforms), as the campaign message and delivery tactics are informed by the preceding phases. In this chapter, we will be focusing on the campaign setup, message building, and delivery tactics within the context of Google Ads and Facebook Ads. The campaign message is what you communicate to your customers in the value your business provides – the pain points/problems your business can solve for them. Campaign messaging has tremendous impact on the success or failure of a digital advertising campaign. It can either positively or negatively influence your customers’ perception of your business. Apple knew their users loved to take great pictures and have consistently encouraged creativity in their line of products. They decided to launch a campaign where they select and feature high quality, creative photos taken with the iPhone on posters and billboards all over the world. This stint caught on well with the consumer market and the campaign was covered on sites like Forbes and TechCrunch, breaking a new record for sales of the iPhone 6s. “Sales for iPhone 6s and iPhone 6s Plus have been phenomenal, blowing past any previous first weekend sales results in Apple’s history,” said Tim Cook, Apple’s CEO. One obvious but often overlooked technique of building a strong campaign message is to think from the customer’s perspective. A great example is asking customers what would solve their problems and feeding them back the exact same words in the marketing message. It is also important to take note of the stages of the consumer decision process when developing the campaign message. Depending on which stage the customer is at, the campaign message will vary. In the first stage (needs recognition), the customer may not be aware of the problem. The campaign objective would be to create awareness of the organisation’s products and services. It is important to note that at this stage, the consumer is not yet ready to buy. The campaign message needs to be carefully crafted to build an ideal perception of the brand in the consumer’s mind. 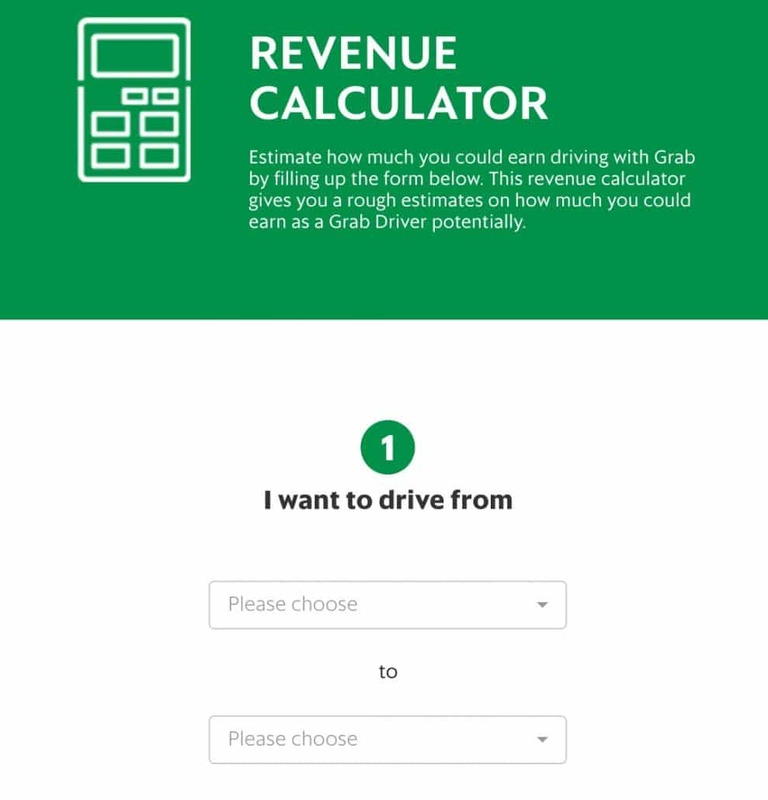 Here’s an example of Grab’s landing page targeting potential drivers to join their fleet. Upon clicking submit, the prospect is taken to a revenue calculator page. If the potential payout is attractive, the prospect may wish to sign up, or conduct more research first to ensure he or she is getting the best deal. The prospect may then proceed to do a search on Google, comparing driver benefits between Grab and Uber. If the prospect is unable to decide on the spot, he or she may not take any action and continue with daily life. 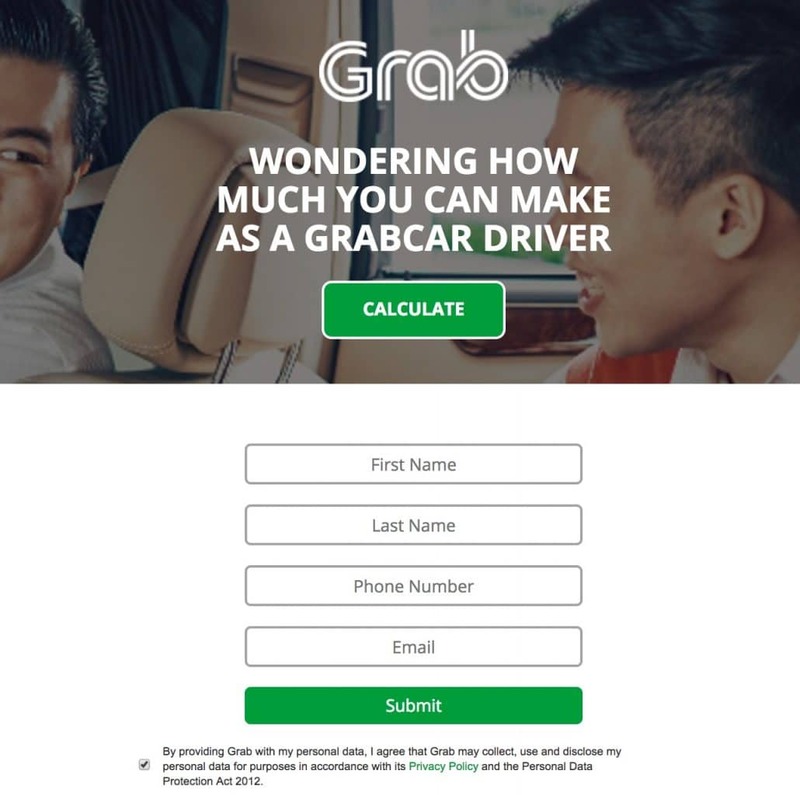 Using advanced tracking tools such as Facebook Pixel and Google Analytics, Grab is able to detect whether the prospect has already converted into a full Grabcar driver or have yet to. If the prospect has yet to complete the driver application form, Grab can implement a retargeting campaign targeting Facebook Newsfeed and Google Display Network’s partner sites to push prospects to the last step (signup). Ensure your campaign message is simple: People simply prefer simplicity. Given a choice, consumers would rather read a sentence than a paragraph when both mean the same thing. Simplicity also reduces chances of misperception and misinterpretation of a brand’s message. Consistency is key: A consistent message will be more likely to stick in a consumer’s mind and resonate time and again even at different touch points of the consumer buying journey. Brainstorm variations of campaign messages with your internal team and select the most effective one based on votes: Your sales and marketing reps have good ground knowledge of what’s going on in the field. They’ve interacted with customers, reviewed competitors’ products, and identified your competitive edge. They understand what customers want and what your business can offer that the competition can’t (differentiation). Speak to your customers and analyse their feedback: You can do this through one-to-one interviews, online/offline survey forms, focus group studies. What do they think of your product? What challenges do they face and what problems are they looking to solve? If they are existing customers, ask them why they chose your products, what made them decide to go with your business? Review competitors’ campaign messaging: You’d be amazed at the volume of insights you can gain by role playing as the customer and scrutinising your competitors’ advertising campaigns. Get ready to take lots of notes and apply the findings to your own campaigns. The Digital Advertising campaign objectives influence how we promote our products and services. Companies typically spend around 30% of their marketing budget on digital marketing. i.e. if their marketing budget is set at $100,000 a year, $70,000 goes to print media, offline events, etc, while the remaining goes to digital marketing. Out of the 30% ($30,000), a portion is set aside for other digital marketing channels such as Search Engine Optimisation, Social Media and Online PR, Video Marketing, Mobile Marketing, and others. Here are two examples of budget allocation. First we set the objective. Then we look at past analytics data to find out the conversion rate. Based on the conversion rate, 10,000 clicks is needed to achieve the objective. If a click costs an average of $1, then a campaign budget of $10,000 is needed for 100 signups. We can check out the estimate cost per click (CPC) or suggested bid using Google AdWord’s Keyword Planner Tool. Again, we set the objective. We can use Facebook’s Budget and Schedule tool to provide an estimated daily reach. With $7,000 per week, we can reach an estimate of 130,000 – 830,000 Singaporeans daily. To determine the percentage of budget allocation per channel, we need to look at attribution data in Phases 4 and 5. Understanding and identifying key customer behavioural traits can help you make better marketing decisions, resulting in reduced costs and increased profits. Clickstream is recorded data of a user’s online activity (i.e. clicks) while browsing the web. It answers questions such as, which digital channels brought in the best customers, what the most common path to conversion is, how long users take to purchase from the first website visit, and more. Understand which channels your best visitors are coming from: This can provide you with valuable data and help you allocate your budget to the most effective digital channels. Identify what content is being viewed and engaged with, and for how long: This can help you identify various types of engaging content, so you can create more of them. Which content do they spend only 10 seconds on and which do they spend more than 2 minutes on? This can help you make improvements to existing content that result in low engagement rates. Identify touch points where they drop out on your website: Does a significant number of visitors drop out just before purchasing? How would you optimise your page so more visitors would proceed to the next step? Find out what visitors search for on-site and off-site (e.g. 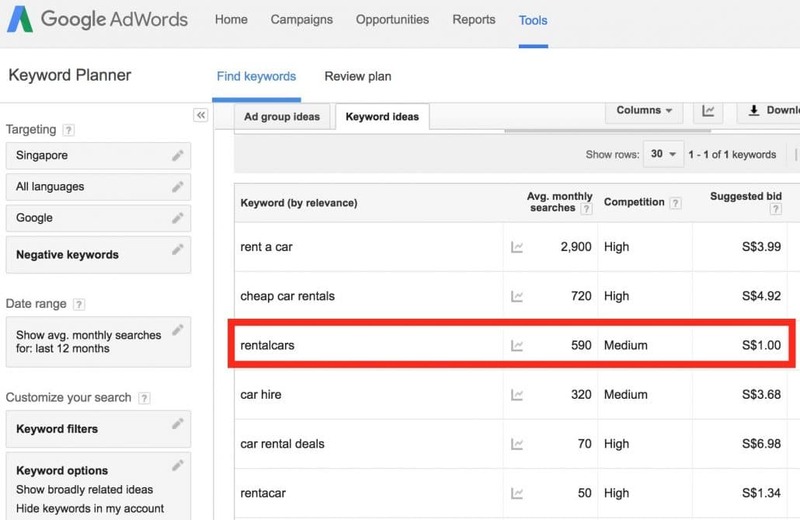 search engines): Through analysing Google AdWords search terms reports and your website’s internal search engine, you can optimise for keywords that contributed to more conversions on your website. Differentiate which ad creatives performed better: How many clicks versus impressions (click through rate) and conversions did Ad A get versus Ad B? Depending on your marketing objectives, you may stop running the Ad that resulted in low click through rates or conversions. Understand which device is more effective: Some visitors may prefer to perform certain functions on a desktop rather than on mobile devices. 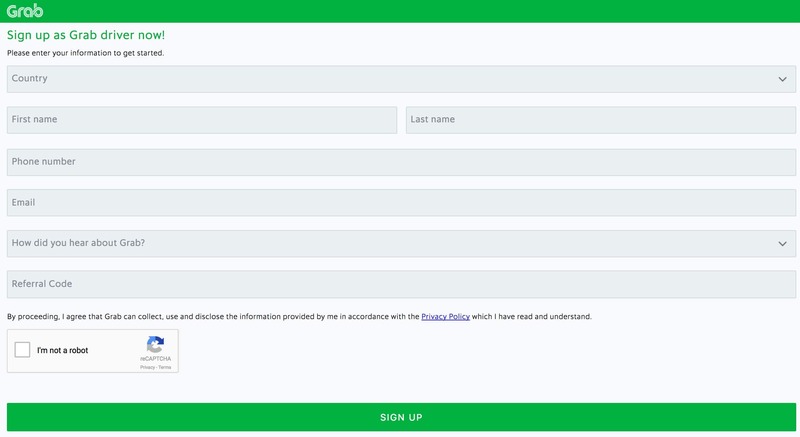 For example, some visitors prefer to complete an application form on a desktop rather than on a smartphone. While majority of users prefer to use Facebook on a mobile device. If you are targeting ads on Facebook, you may want to ensure your landing pages are mobile-friendly. What are key performance indicators (KPIs) in digital marketing? Key performance indicators are measurable metrics or numerical values used to determine the effectiveness of digital marketing activities and keep track of the progress of the campaign in achieving a defined objective. Estimating the expected return per channel can help marketing teams allocate more realistic budgets to better performing channels. It can also be a sign that improvements can be made to the marketing channel to increase profitability. If a certain channel is underperforming, ad expenditure should be reduced or marketing activities should be optimised, otherwise the company’s profit will be negatively impacted. On another note, if a certain channel is performing exceptionally well, more money should be invested for faster growth. Calculating the cost of customer acquisition is relatively straight forward. You can retrieve the figures just by looking at the data from the platform you’re advertising on. Say the profit margin/customer lifetime value (CLV) is $300. The ROI ratio is around 4:1 ($237.85 : $62.15). However, things can get complicated when you include a mix of marketing channels. Say you’re advertising the same product on Facebook, the same customer that converted on the Google AdWords paid search results could have clicked on your Facebook Ad prior to searching on Google. If it wasn’t for the initial touch point on Facebook, the customer may never have heard of your product and searched for it on Google. In order to properly attribute ROAS to the proper channels, you need to apply multi-channel attribution model principles, which is outside the scope of this article. 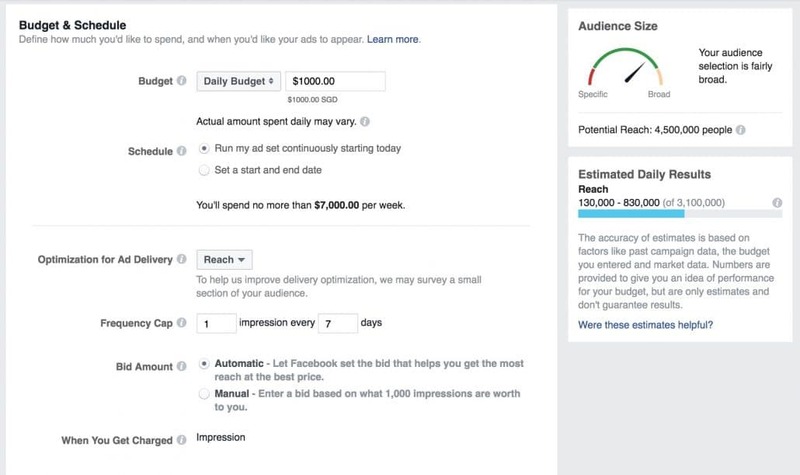 Using the above scenario, if the total revenue was $100 we assigned 30% credit to Facebook for being the first interaction and 70% credit to Google AdWords for being the last interaction, then Facebook would be attributed $30 and Google AdWords $70 in revenue. Each channel reports its own revenue, but it is up to the business analysts to set the attribution credit values per channel, as deemed suitable based on deep understanding of the customer buying journey. If you’ve made it this far, congratulations, your hard work will be paying off soon. If you’re unsure what changes to make at any point, A/B split testing could be a suitable option. A/B split tests can prove whether a hypothesis is true or false. For example, if you’re targeting consumers from a wide age group e.g. 21 – 50 and you’re unsure which audience your ad would be most relevant to, you can split the audience into three separate campaigns (21 – 30, 31 – 41, 41 – 50) and display the same ad creatives to them. At the end of the experiment, you can track which age group garnered the most clicks. Based on the attribution table in Phase 4, if Google AdWords (with an attribution credit value of 0.5) generated $2,500 in revenue and Facebook Ads (with an attribution credit value of 0.2) only generated $400 in revenue, your budget on Google AdWords would obviously be higher. If the total digital advertising budget for the present year is $100,000 The allocation of budget per channel can be represented by a simple table. There are other variables you can analyse and optimise that are very specific to a particular digital channel. Take Facebook for example. If you’re wondering which device converts better, you can break down conversions by device type. We can clearly see that iPhone users converted more than Desktop users, and at a lower cost per acquisition (CPA). If your budget is limited, you could focus more on targeting mobile users to maximise your ROI. On Google AdWords, you can also break down reports by time: day of the week. From the data, we can see that majority of conversions happened on weekdays. We can then optimise our campaign settings to automatically increase bids on weekdays. Launching a brand awareness (needs recognition) campaign can enable your brand to reach many people, however the sales conversion rates are usually lower compared to targeting prospects who are almost ready to purchase (e.g. conducting a brand search on Google). It is therefore more pragmatic to first focus your marketing activities on areas that can yield the highest returns, especially with a limited marketing budget. 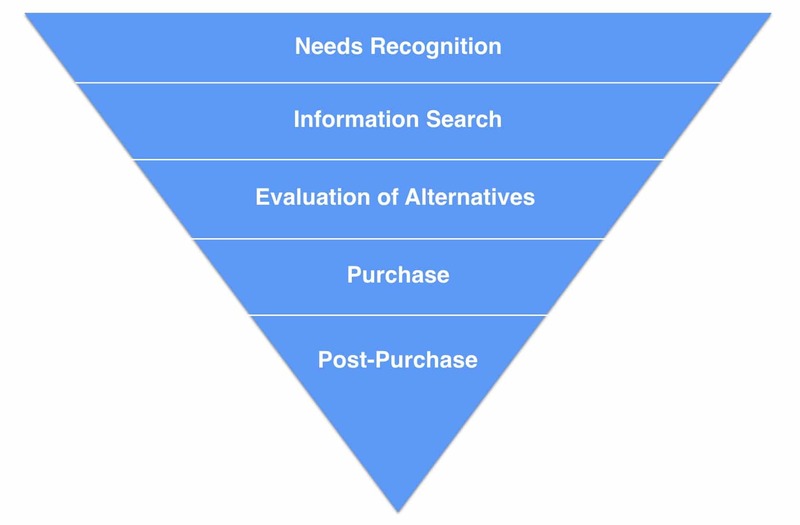 In this case it usually begins at the bottom of the funnel (purchase and post-purchase). 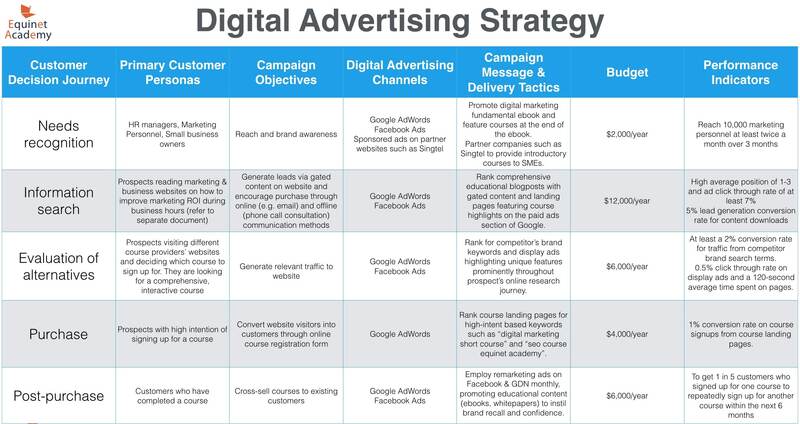 We can summarise the digital advertising strategy into the following table. 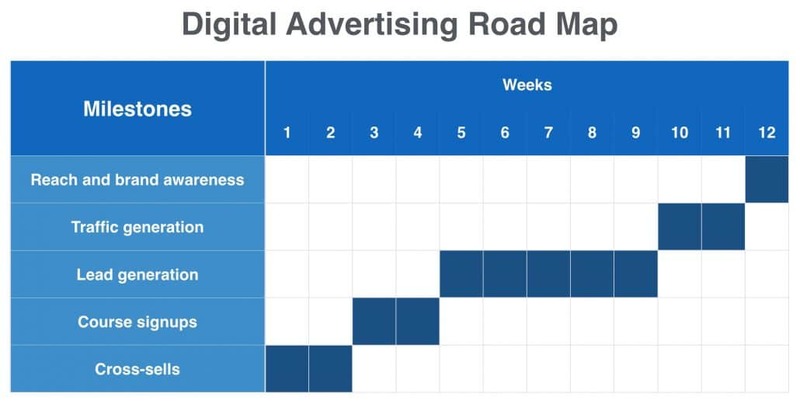 We can then take the campaign objectives and plot the marketing activities on the digital advertising schedule/roadmap in Gantt Chart format. With a total budget of $20,000/year, we would be able to complete our marketing activities by Q4. Digital Advertising is an efficient medium of digital marketing used by marketers to deliver marketing messages to consumers through online paid advertisements including, but not limited to display and video adverts, paid search and social ads, and sponsored articles. Understanding the consumer decision process and defining customer profiles are crucial in order to deliver the right marketing messages, at the right time, to the right consumers. Conducting competitive research can help us discover new entrants in the competitive landscape, develop a competitive edge, and discover new digital advertising channels to find new customers. Digital advertising objectives should be SMART and your KPIs should be relevant to keep track of your campaign’s progress toward a defined goal. Factors you should consider when selecting your digital advertising channels are customer profile and reach, consumer behaviour, costs vs returns, and goals. We can develop appropriate campaign messages and delivery tactics by referencing the customer profile and consumer decision process and digital advertising objectives. The digital advertising budget per channel can be determined by calculating the revenue of each channel minus the cost of customer acquisition, yielding the ROI. The higher the returns, the higher the budget allocated to the particular channel. When developing the schedule/roadmap for the digital advertising campaign, we should first focus on implementing campaigns that offer more promising returns. To learn more on how to develop a digital advertising strategy for your business, sign up for our 2-day hands-on Digital Advertising course. 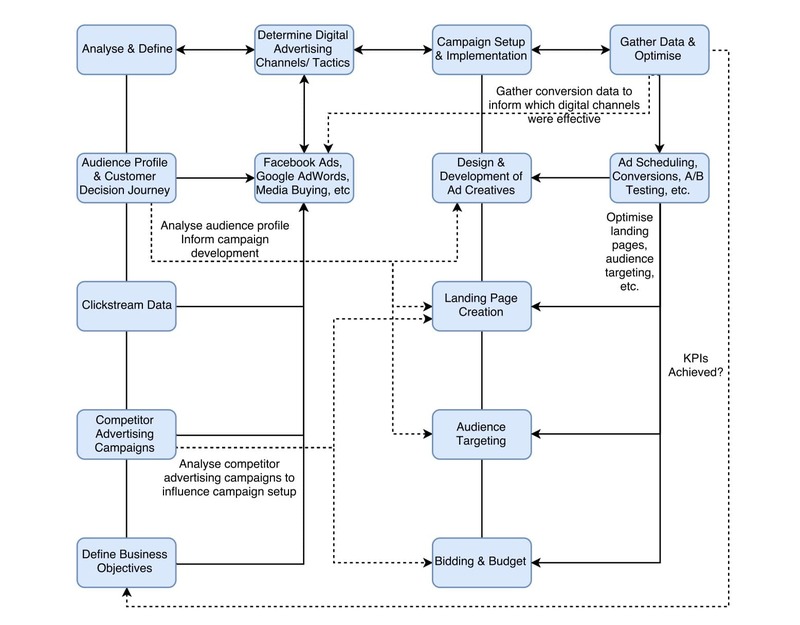 A 4-Step Digital Marketing Strategy Framework What is SEO and How It Works?